In other news : we’ve signed up for BoardGameGeek’s Secret Santa event this year! We’ve had some disappointing experiences with the Reddit board game Secret Santa, but we’d like to try again with the BGG public. Giving and receiving gifts is just so much fun. 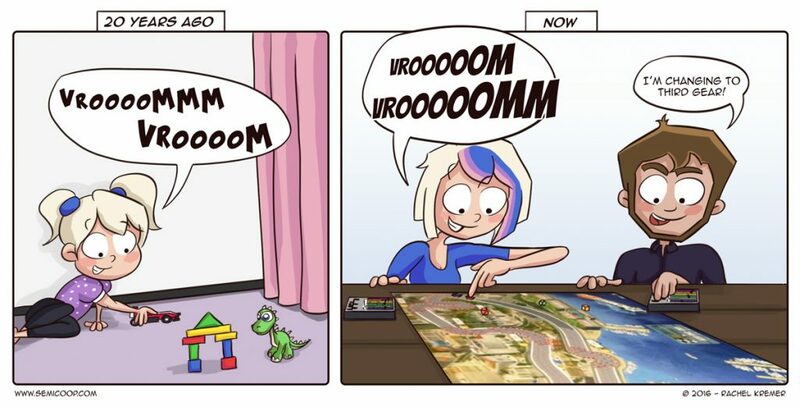 Especially if they are board game themed of course. Since it is Halloween tonight, we’ll be playing Ghostel again. We received a prototype of the game of Tinkerbot Games earlier this year and it’s surely a game you might wanna check when it’s available. It was a lot more puzzly-tactical than we first anticipated, which is a good thing. 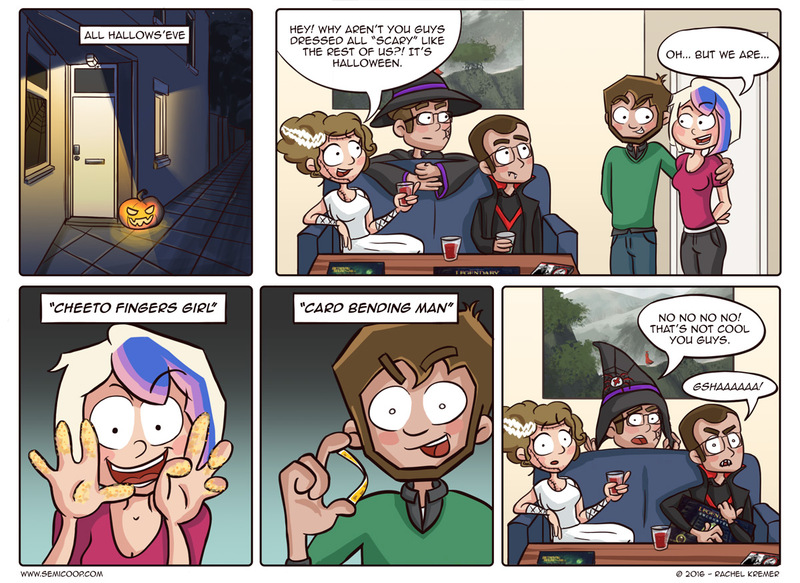 What (thematic) game will you be playing on All Hallows’ Eve? Betrayal at House on the Hill! I’m usually a sucker for auto-purchasing new expansions, but I’m having a hard time convincing myself to pick up the new Widow’s Walk expansion for this game (at least right now) … with 50 scenarios, there’s still SO much the core game has to offer! We had a wonderful game of Dread on the Sunday before. It’s a horror RPG based on a Jenga tower. Each time you want to do something outside of your normal abilities you have to pull from the tower. If the tower falls then then your character is… removed. Our DM had even more fun with it by killing the lights and having us all have torches, if our torch was on in real life then it was on in the game. So there were a few moments where we were playing Jenga in the dark with our lives on the line. It was glorious!